Welcome to the terms and conditions for Amazon Pay EMI ("Terms"). These Terms are applicable between you and Amazon Pay (India) Private Limited ("Amazon") for the transactions for purchase of goods or services you make through select online medium, platforms or marketplaces ("Digital Property") using the "Amazon Pay EMI" payment method ("Amazon Pay EMI") . It is clarified that these Terms are applicable only if Amazon Pay EMI is available for payment on the Digital Property. These Terms are applicable in addition to any terms and conditions that may be applicable to your use of the Digital Property where Amazon Pay EMI is available as a payment option. Amazon Pay EMI is a payment option available to certain select customers to make payments on the Digital Property . 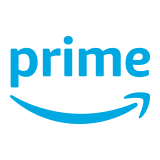 Amazon Pay EMI option may only be available for purchase of select good or services on the Digital Property. To use Amazon Pay EMI, a customer must place an order with only one eligible item added to their cart. Amazon Pay EMI payment option cannot be used with multiple items (including multiple eligible items) in their cart. Also, Amazon Pay EMI payment option cannot be used for payment of a part of the amount along with other payment options. The customer must make the complete payment for the transaction using Amazon Pay EMI.If a customer choses to paying using Amazon Pay EMI, the customer will transact with CapFloat Financial Services Private Limited (" Capital Float "). Under Amazon Pay EMI, Capital Float will provide a credit facility to the customers to make purchases on the Digital Property and make payments for the same on a deferred basis in instalments("Facility"). Prior to providing the Facility, Capital Float may (in its discretion) conduct credit approval checks for the customer. Provision of the Facility is at the discretion of Capital Float, and Capital Float reserves the right to reject (exercisable in its discretion) the Facility to a customer, with or without any notice or reason and without any liability. Amazon has no role to play pertaining to the offering of the Facility or the terns on which the Facility is provided by Capital Float, including but not limited to its issuance, approval, extension, pre-closure or closure of the Facility and such matters are solely determined by Capital Float. As a pre-requisite to avail the Facility, a customer must have a valid Amazon.in account, a PAN (permanent account number) card, and Aadhaar card or an Aadhaar virtual identity document. The customer must also have a bank account with one of the specified banks in India. Capital Float may specify the banks for this purpose from time to time, which will be listed on Capital Float's website. In order to avail the Facility, the customer must enter into a loan agreement with Capital Float ("Loan Agreement") as an essential pre-condition, in the form notified by Capital Float. Amazon Pay EMI can only be used for purchases on the Digital Platform if the customer has sufficient balance / limit available under the Facility granted by Capital Float. The amount of the Facility may be modified and the Facility may be cancelled by Capital Float in its discretion, and without assigning any reason and without any liability. Repayment of the Facility is governed by the terms notified by Capital Float from time to time. Amazon and Capital Float may make various modes and mediums available for repayment of the Facility, which may be made using the Amazon.in mobile application. Availing the Facility is governed by the terms and conditions prescribed by Capital Float mentioned below and any other terms that Capital Float may notify from time to time. The customers also agree and acknowledge that Amazon and its affiliates will not be liable or responsible for any claim on account of availability or non-availability of Amazon Pay EMI facility on Amazon.in. Amazon reserves the right to cease to make Amazon Pay EMI available as a payment option, at any time without prior notice and without any liability. By using Amazon Pay EMI by availing the Facility, the customer acknowledges that Amazon and Capital Float may use the customer's data in connection with the Facility, including without limitation for processing and activation of the Facility. In this regard, the customer agrees and consent for Amazon to share the information or data pertaining to the customer with Capital Float. The customers agree that Amazon and its affiliates will not be liable for any losses or damages suffered by the customers on account of use of Amazon Pay EMI or the Facility, including as a result of any fraud in connection with such use. If an order for which payment has been made using the Amazon Pay EMI facility is cancelled, any refund to the customers or cancellation of the Facility will be undertaken by Capital Float. 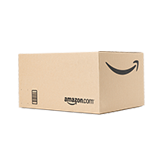 The customers hereby agree and acknowledge that Amazon has no role in this regard and that Amazon will not be liable or responsible for any claim on this account. Amazon will not be held liable for any dispute arising out of or in connection with use of the Amazon Pay EMI payment option or the Facility. 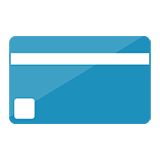 You authorize Amazon and/or Capital Float to communicate with you, through emails or SMS or notifications on websites / mobile applications or any other mode, in connection with use of the Amazon Pay EMI or the Facility. You acknowledge that Capital Float may communicate with you through IVR or telephonically. Please contact Capital Float for any queries in relation to the Facility or Amazon for any queries in relation to availability of Amazon Pay EMI. I confirm that I have carefully read and fully understood all the terms and conditions that are listed online at https://www.capitalfloat.com/terms-of-use.html and those applicable to availing financing / loan from CapFloat Financial Services Private Limited, formerly known as Zen Lefin Private Limited ("Capital Float" or "Lender") and privacy requirements that are listed online at & https://www.capitalfloat.com/privacy-policy.html. I accept the terms & conditions unconditionally and agree that these terms and conditions may be amended or modified by Capital Float at any time and I will be bound by the amended terms & conditions that are in force. I understand that sanction of the loan(s) is at the sole discretion of Capital Float. I shall indemnify Capital Float (its agents, employees, officers and directors) against all or any losses suffered by Capital Float (its agents, employees, officers and directors) on account of breach of undertakings, representations and warranties by me including any legal action / proceedings initiated by me or any third party in connection with this Agreement and unauthorized access to or storage of my information or Personal Data by Capital Float (its agents, employees, officers and directors) which are solely attributable to any breach, negligence or fraud by me. I declare that all the particulars and information and details given / filled in the application form provided by Capital Float and information provided by me to Capital Float are true, correct and accurate and I have not withheld / suppressed any material and relevant information from Capital Float. the suitability, reliability, availability, of the services contained on the Capital Float website and/or mobile application for any purpose. any other Applicable Law solely relating to the protection of Personal Data and processing, storage, usage, collection and/or application of Personal Data or privacy of an individual. By availing the loan from Capital Float under these terms and conditions, you acknowledge that Capital Float may use your data or information in connection with the loan, including without limitation for the processing of the loan application. In this regard, the customer agrees and consent for Capital Float to share the information or data pertaining to the customer with any third party which is involved in the processing of the application, or use of the loan facility etc. I hereby declare that no other account has been opened nor will be opened using the OTP based KYC in non face-to-face mode. Capital Float reserves the right to cancel / suspend the services of the loan if in Capital Float's opinion security of the website and/or mobile application or of the data could be compromised for any specific customer, without assigning any reasons. I/We further authorize Capital Float and all its group companies to keep me/us informed (vide telephone, SMS, mail, E-mail etc.) of all such promotional schemes and/or activities as they may require.